Perfect your soccer skills with this essential guide. Soccer is the number one spectator sport in the world, and its popularity in the United States has been steadily growing for many years. Today more and more young women are testing their skills on the soccer field, and youth soccer is becoming increasingly more competitive. 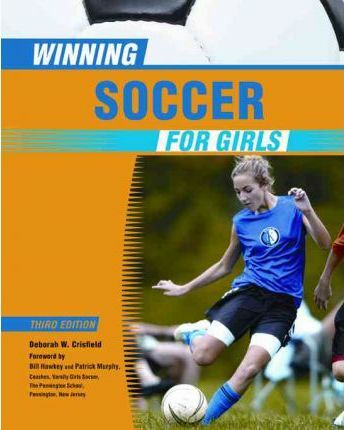 ""Winning Soccer for Girls, Third Edition"" offers an indispensable guide to the detailed mechanics of this high-velocity sport, perfect for girls interested in soccer, as well as their parents and coaches. Each chapter in this revised and updated edition covers a different element of the game - including shooting, passing, and ball handling - while more than 130 full-color photographs and diagrams illustrate drills and games that can improve technique. This comprehensive new guidebook contains updated material on developing agility, power, and strength and improving ball control and handling. The history and rules of the game are also examined, and a glossary lists soccer terms. The chapters include: Rules and Equipment; Training to Play; Passing; Receiving the Ball; Ball Handling; Shooting; Heading; Goalkeeping; Tactics; and, Restarts. Deborah W. Crisfield is a freelance writer, editor, and sports coach for elementary, junior high, and high school teams. A former soccer player, she currently resides in Summit, New Jersey. Bill Hawkey and Patrick Murphy are coaches for a varsity girls' soccer team at The Pennington School in Pennington, New Jersey.